Students at one DeKalb County School District (DCSD) used their problem-solving, money management, and pattern recognition skills to earn top honors in a nationwide competition. One classroom at Redan High School fielded the first, fourth-, and sixth-place teams out of more than 3,300 in the 2018 Capitol Hill Challenge, hosted by The SIFMA Foundation’s Stock Market Game. In addition to fielding some of the best teams in the United States, Redan High was also ranked first out of more than 350 schools nationwide. The Capitol Hill Challenge prompts students to turn $100,000 in play money into the most capital possible using real-world stocks. Students must use research, critical thinking, pattern recognition skills, and knowledge of commerce to gain the most profit. Teams are also required to use different types of stocks, maintain a financial portfolio, and abide by other reality-based rules. 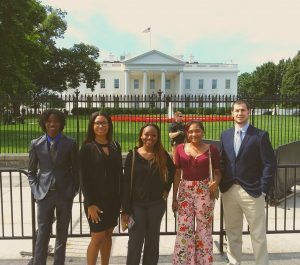 Brewster and Redan High students Shania Hinds, Jacarria Harris, and Alexis Goings received an all-expenses-paid trip to Washington, D.C. in early June 2018. 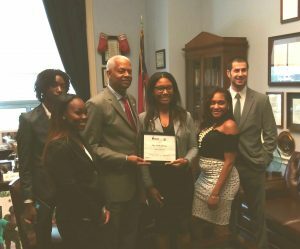 Accompanied by teacher William Roth, students were able to meet with, speak to, and be honored in front of federal legislators, including Reps. Hank Johnson and John Lewis. This included a special awards ceremony at the Rayburn Foyer along Capitol Street and Independence Avenue. Hinds was apprehensive toward the game at first, but found The Stock Market Game’s website made trading easier. For her, the game put students’ time and money management skills to the test, above all else. Hinds, who is a part of the top-ranked team in the country, was able to take that strategy and turn $100,000 into approximately $125,000 in just 14 weeks. Hinds’ team fluctuated between the number two and three spot throughout the competition. On certain days, only $250 separated the top three teams. Harris, also part of the number one team in the nation, also had no knowledge of trading stocks until it was introduced by Roth. Hinds and Harris focused their funds on the technology and medical sectors due to how rapidly each industry evolves. Brewster credits his top-10 finish to studying the stock market, financing, and business trends with his mother, as well as researching strategies from real-world traders such as Jason Bond. The industries, at times, didn’t even matter. Harris relished leapfrogging 200 to 300 teams at a time using his technical trading strategy. Stock team coach William Roth, who has taught English at Redan for four years, uses his own, real-world experience in the stock market to impart knowledge to students. Roth’s coaching strategy primarily involved keeping students on track in terms of rules—little things that added up to a larger whole. Roth says it’s unbelievable that students in his English Literature class demonstrated such world class talent. He knew the students would do well, however, in that they showed much more interest in the game than Beowulf or The Canterbury Tales. 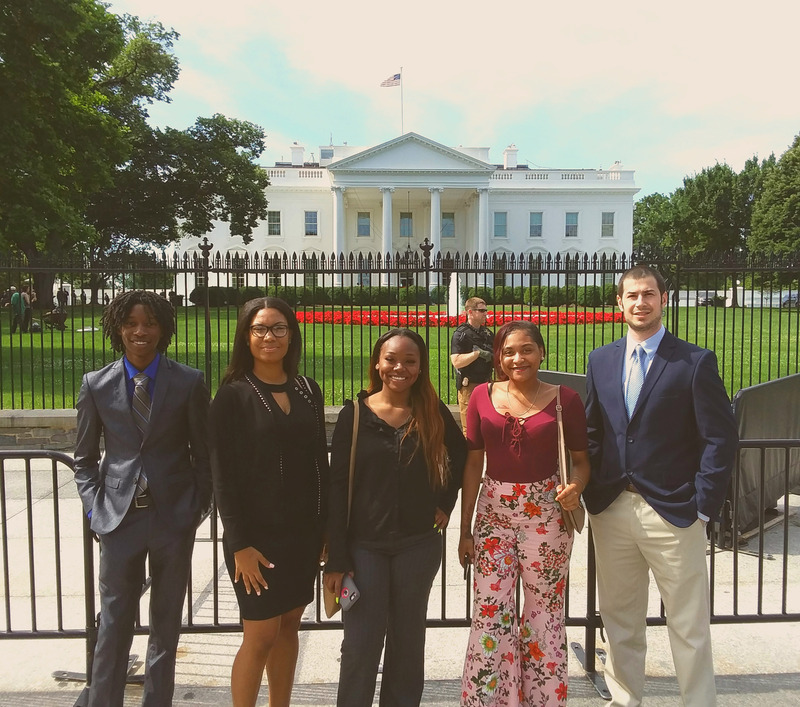 Roth’s proudest professional and personal moments were watching students interact with Senators, Congressmen, fellow competitors, and financial experts while in Washington, D.C.
For Harris and Hinds, representing DCSD and Redan High School has never felt better. The students were even recognized at their graduation by principal Janice Boger. To all future stock traders or Stock Market Game teams, the Redan High students advise to take risks, analyze ticker symbols, as well as taking the leap to invest time and money.